Can you see all those leaves?! 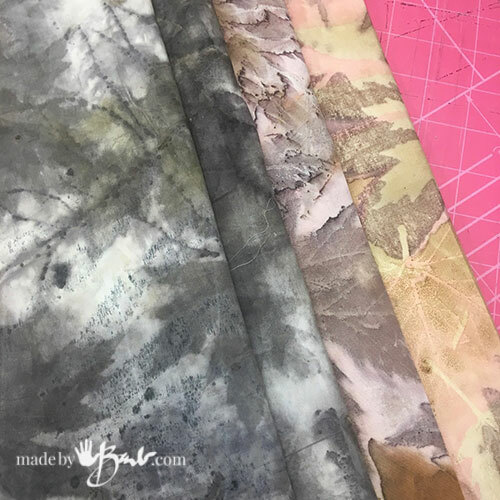 These fabrics are all the by-products of my journey into Eco Printing; the ‘Iron Blankets’ that I used along the way became all shades of neutral. 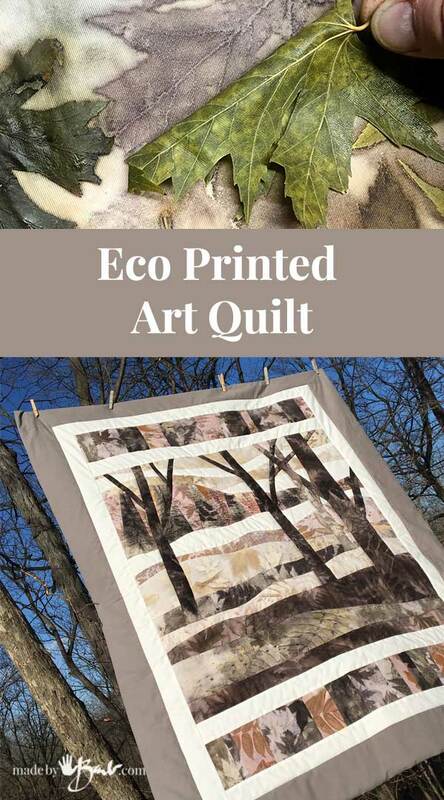 Who knew bedsheets could look like this amazing and come together to make such a great Eco Printed Art Quilt?! 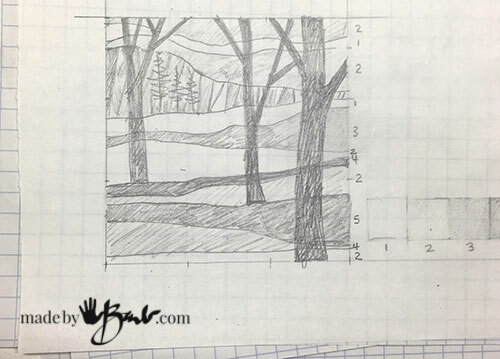 The concept comes from the fact that as you move back into a landscape the tones/shades become more grey. The foreground is darker and then feels more intense. Make a grey scale of the overall tones to figure out where they are best in the space. If you squint your eyes you will see less detail but overall ‘value’ of the grey. That is how artists plan their designs. 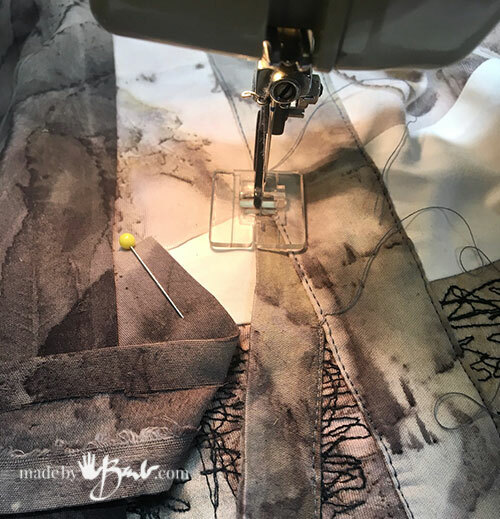 I use the grey scale to plan each fabric to it’s place in the plan. 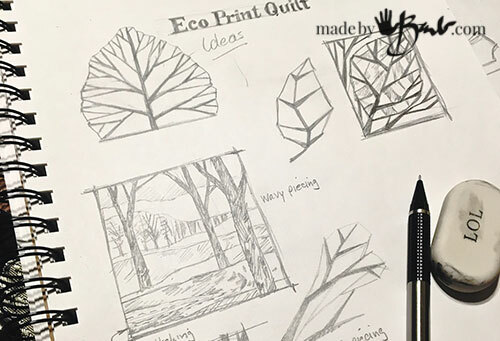 After much ‘Eco printing‘ I had amassed quite the collection of ‘carrier blankets’ (iron blankets) and eco prints so this design just seemed perfect. 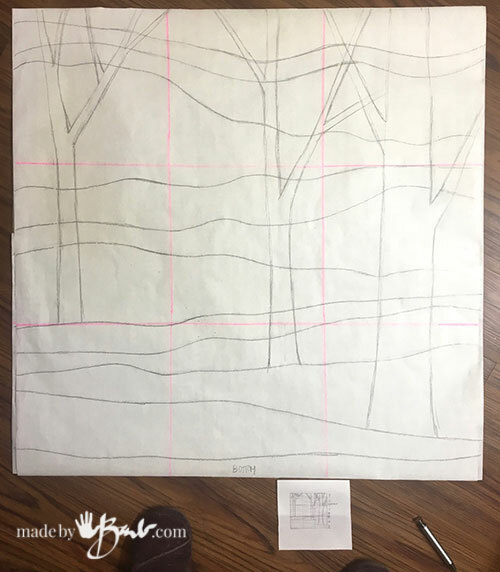 Once you have the pattern, you will need to make a large full size version. I made 2 copies of the pattern, one without the trees. 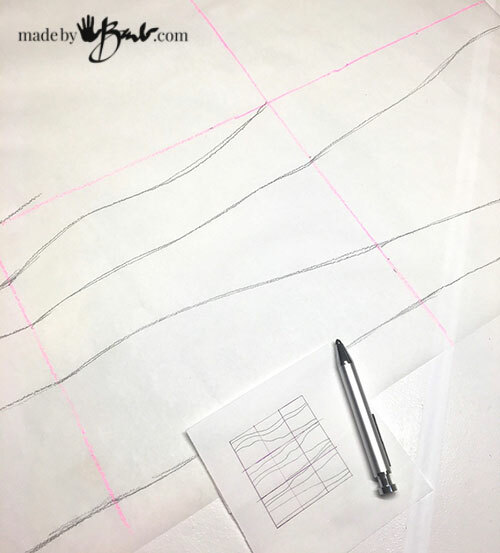 At first I was scared of sewing curves, but it really is quite simple! Who knew?! 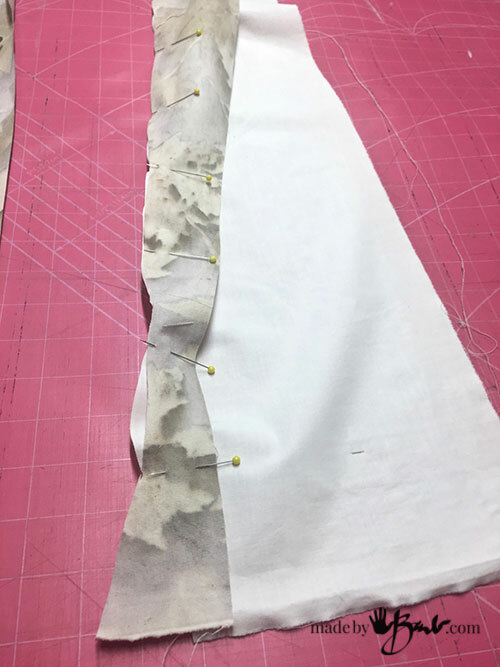 Lay the pattern on the fabric and leave an extra 1/4″ of fabric at the top. 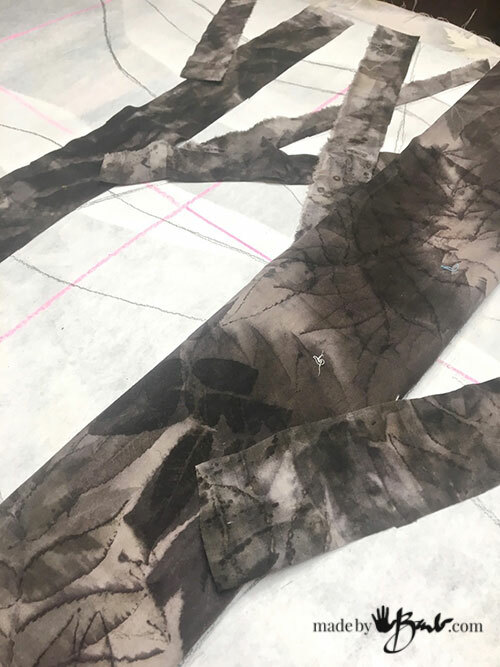 This will be the extra for the 1/4″ seam allowance. (note green dimension). 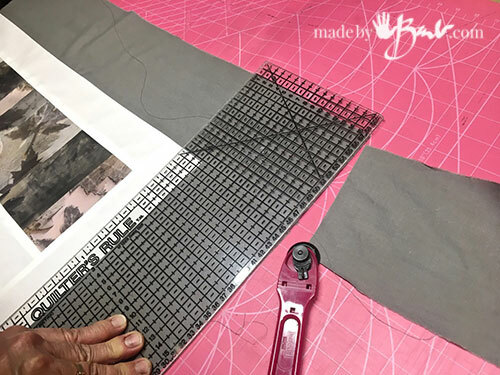 Pin if necessary and use rotary cutter to cut through the paper and the fabric. 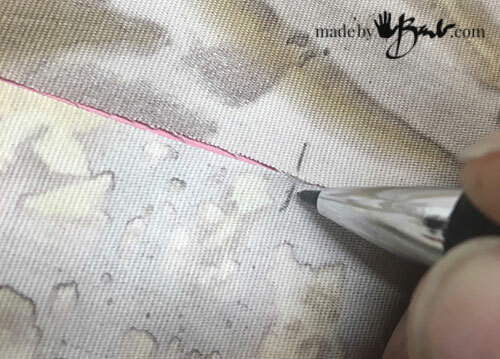 You may place 2 layers to cut the next edge at the same time. Or you can just run the cutter again along edge with other fabric ganged up under it. Work one curve at a time. I taped the paper back (few pieces of tape) to keep it all organized. Marking some short lines to make sure you match the curves also helps. 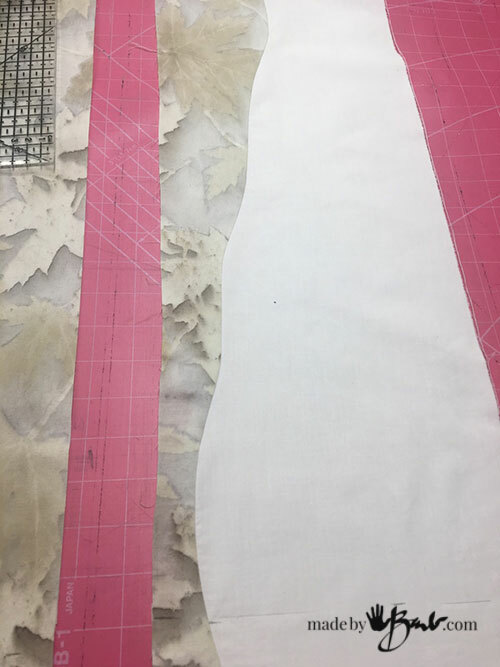 Lay the curved fabric next to each other and match up edges. You can pin and also follow markings. 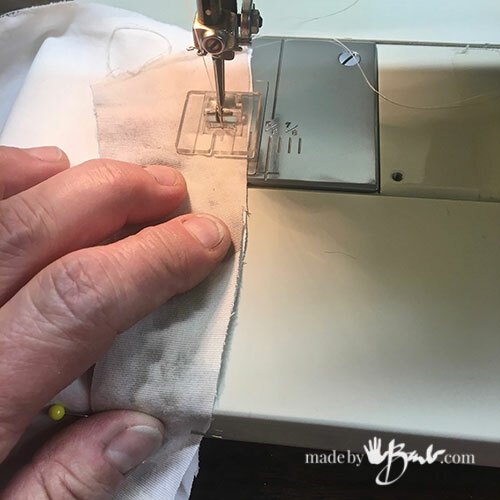 It is a 1/4″ seam and will allow easing the edges together as you sew. 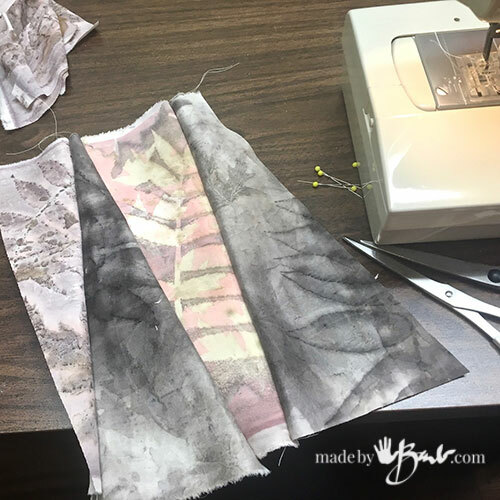 As you sew make sure to keep it smooth and no little folds happen. Easing and slight pulling helps to flatten the curves. Since they are quite long curves I did not need to clip at all. 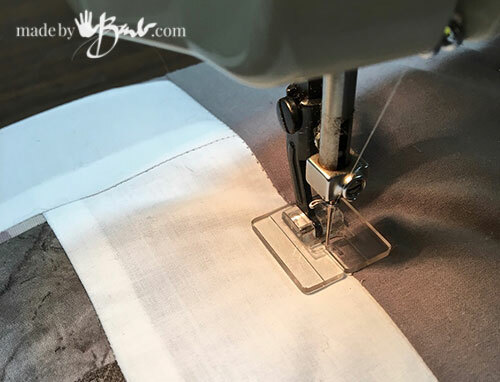 Once you have sewn one curve you will notice how easy it is. Follow the same idea with the rest. 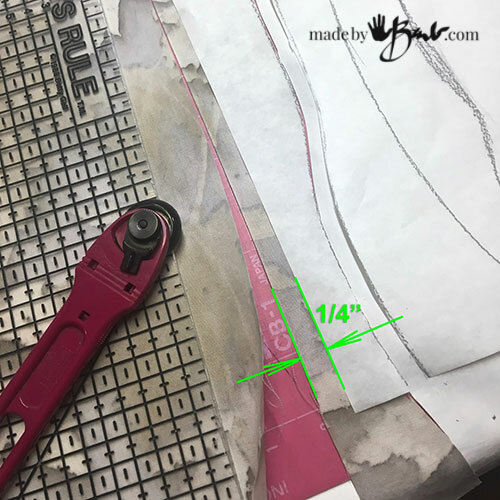 Do remember to allow the extra 1/4″ at top of pattern to give the seam allowance. — repeat — with next curve. 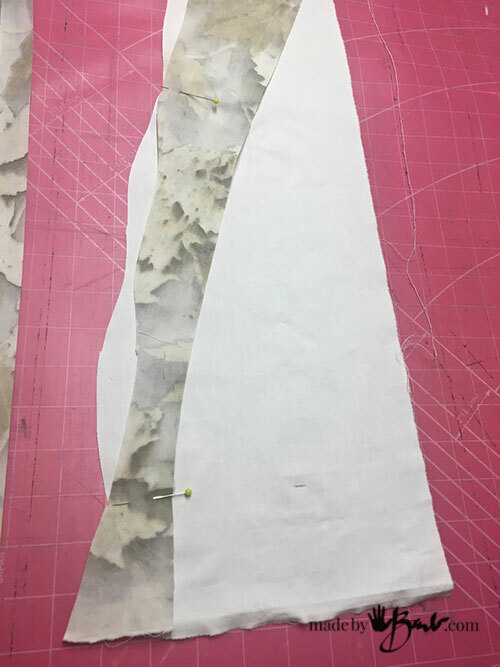 Sew the pieces together alternation the direction of the triangle. This will make the strip relatively straight and create some tree-like shapes. Press seams nicely. Follow the previous instructions to cut the curve shape. Repeat with the next curves to the bottom. Test the tones against each other each time. 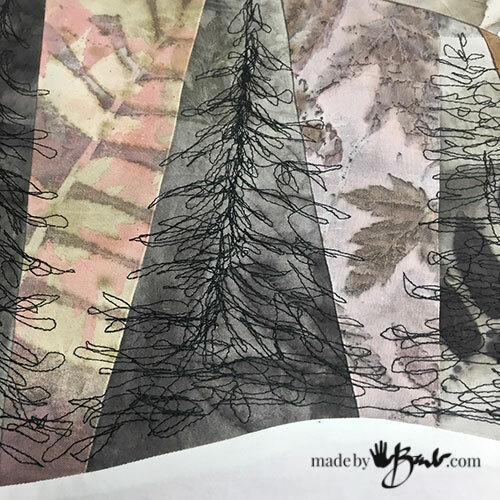 For fun I have been doing some free-motion-sewing so I decided to sew some ‘crazy trees’! Also, there is suggestion of using a embroidery hoops. Sure, if you would like to. 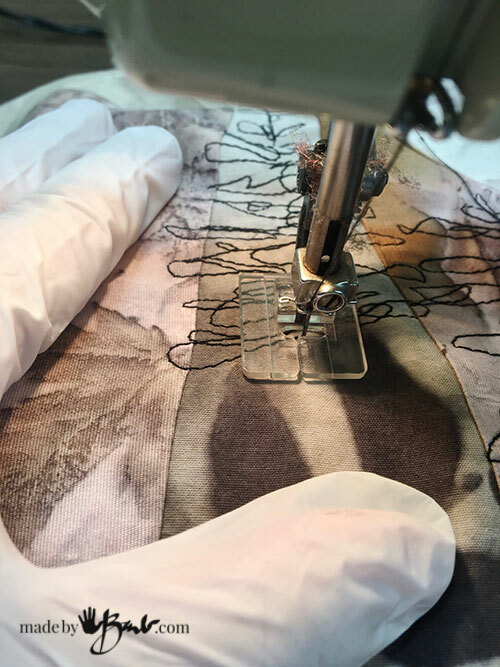 I used a pair of rubber gloves to keep a good grip and keep my hands around the fabric while sewing to endure that it stays flat. 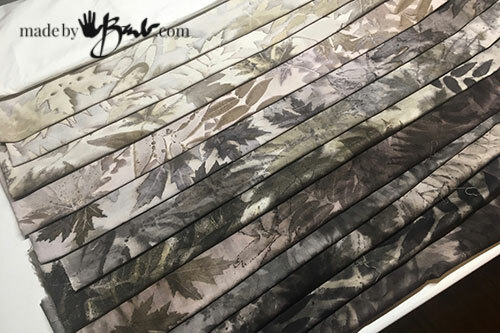 The fabric does not get turned, you just slide it in any direction that you like. Yes, it is a bit messy looking but it IS a tree! 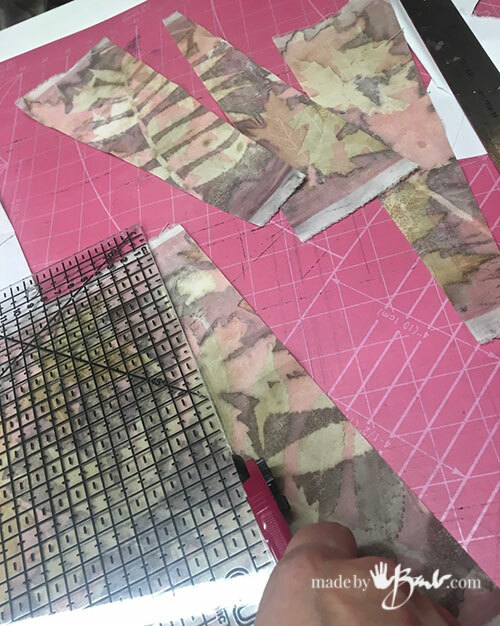 Plan the pieces on the pattern. Fold under the edges and iron well. 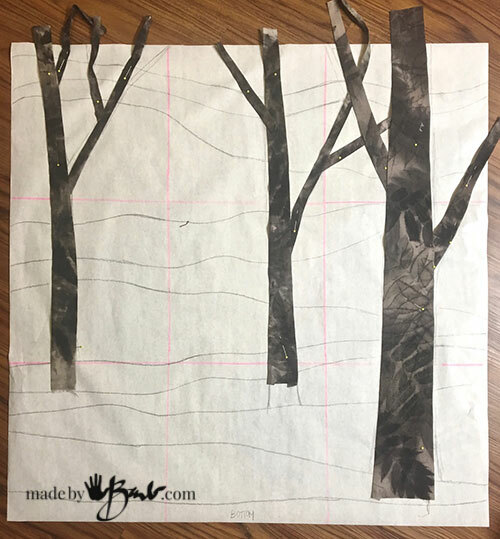 Transfer the trees to the fabric and pin. Pay attention to overlap. Closest tree should overlap etc. 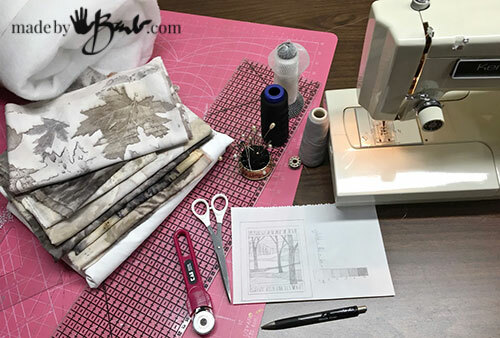 Top stitching is a great easy way for the trees. 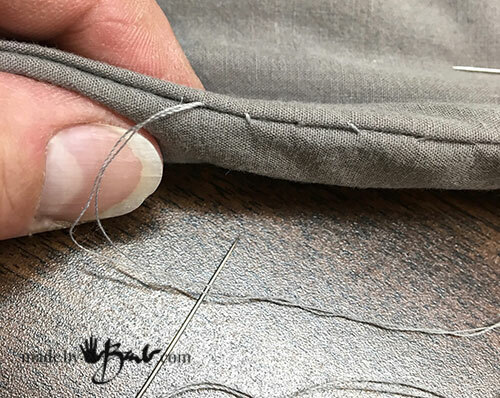 Sew in matching thread or invisible quilting thread as close to edge as possible without falling off. 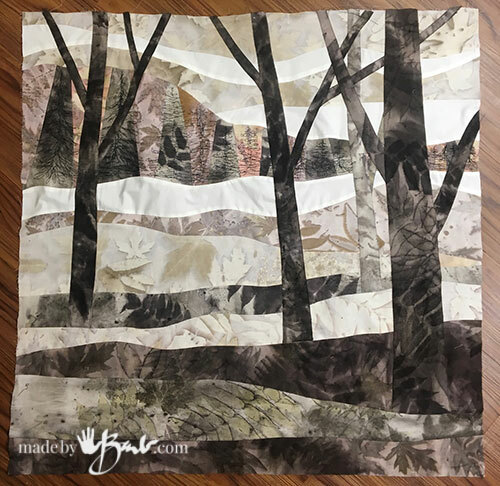 Again, pay attention to the layering of the back ground trees to the foreground and lift branches to sew back ones first. Nice thing is that they can be as wavy or straight as you like. Perfect! 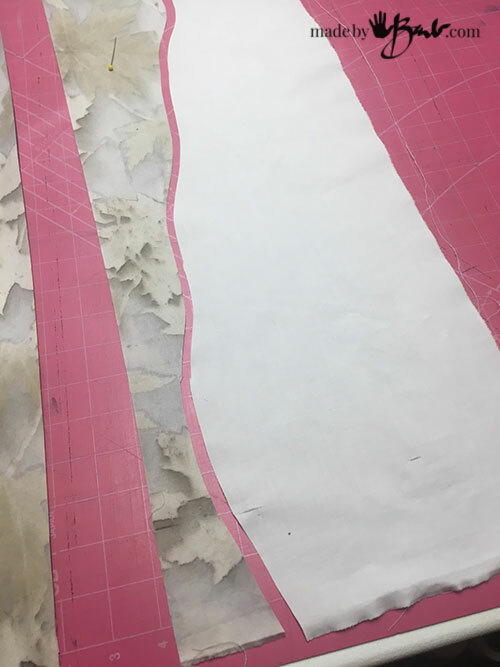 I like to be free form exact shapes so I cut a bunch of random width strips or a variety of prints. 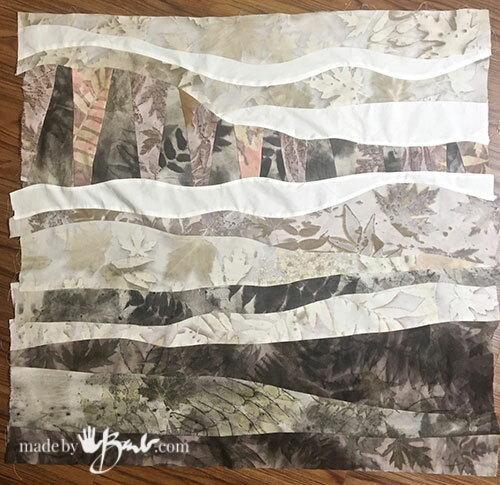 Sew the white border to bottom and top of main image (press) and then add the accent strips. 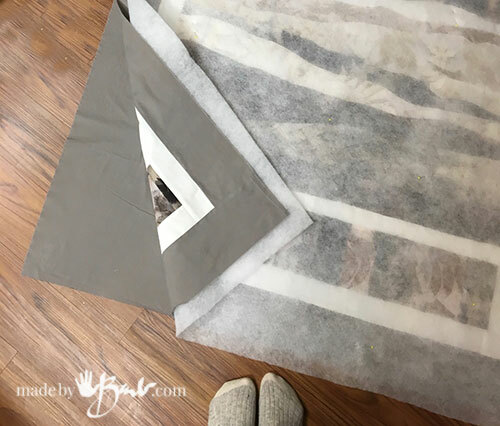 The medium grey larger border (another bed sheet) is perfect to keep grimy finger prints from showing… Make it as wide as you like. I like to rip long strips for borders as it ensures that it is perfectly straight. Easy-peasy. There are many options for batting for quilts. 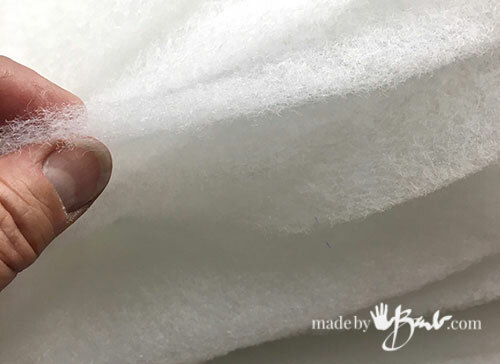 You can super thick or thin, cotton or polyester or even silk. I think about storage, washing and also sewing through the quilt. I choose a thin batt. Cut a back panel the same size as your front panel. Piece it together if needed. 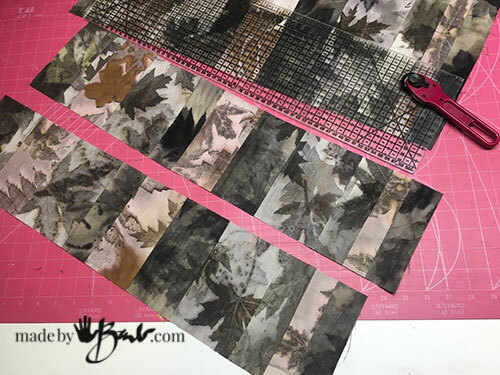 Lay out the entire quilt on a large flat surface (probably the floor) with the back and front panels facing each other. Either lay the batt on floor or on the top and pin quite well. 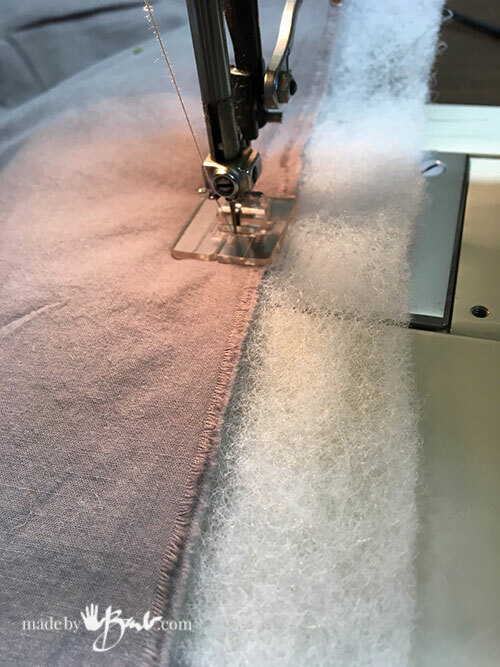 Sew all the way around except for an opening to turn (like making a pillow). Sew with the fabric side up for ease of getting the batting stuck in the foot. 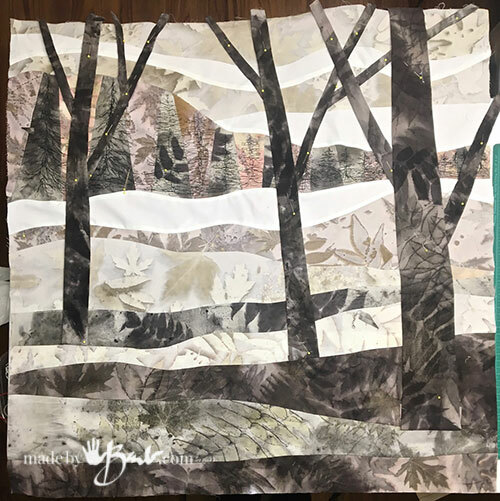 In the quilt world they use the expression ‘birthing’ the quilt for the turning inside out of the large rectangle pocket. 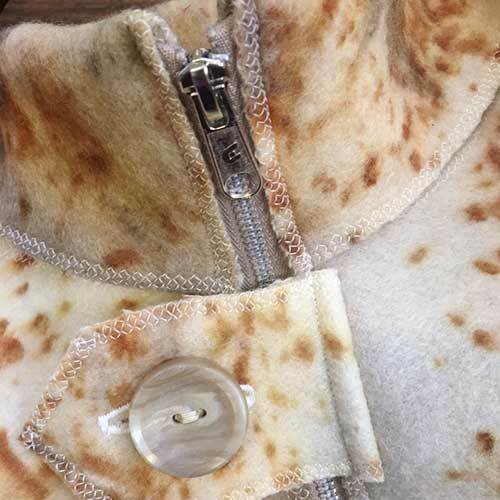 Use a running stitch that alternates top and bottom and is well hidden. This closes the quilt body. Gee after the ‘birthing’ it’s stitching time. Pin all the layers quite well making sure it’s all quite flat. 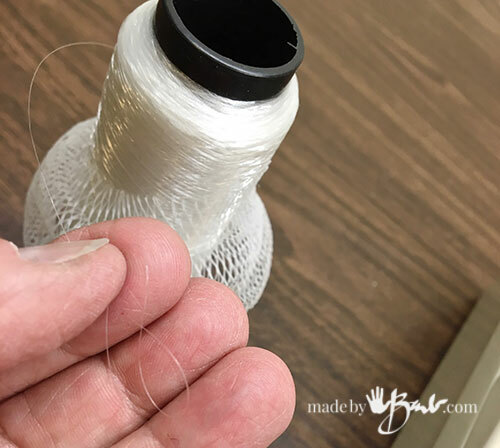 Invisible thread is great as you don’t need a matching colour. It is super fine as well. I am an impatient person, so the finishing is all machine done. You could also hand-stitch all the quilting. For this design the ‘stitch-in-the-ditch’ worked quite well. The stitching is meant to hold the batting in place inside. Roll the sides the quilt to lessen bulk as you need to get to the centre. My mother used to use pants clips. 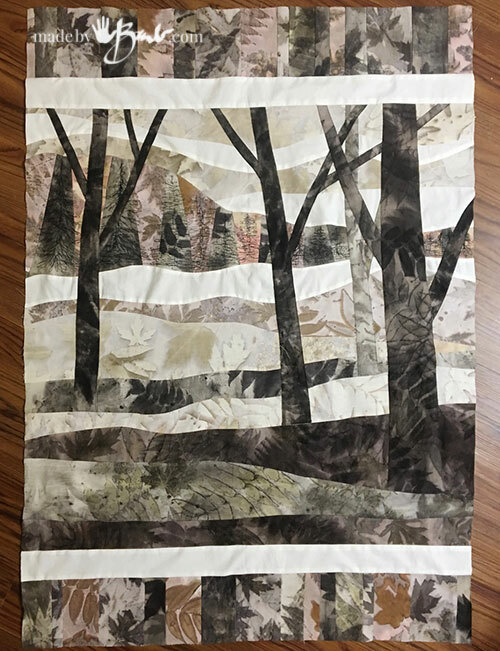 This is a fairly small quilt so it was easy and quite quick. Move over stodgy old fashioned quilts and welcome new age ‘Art quilt’! Great shades of grey and neutral. 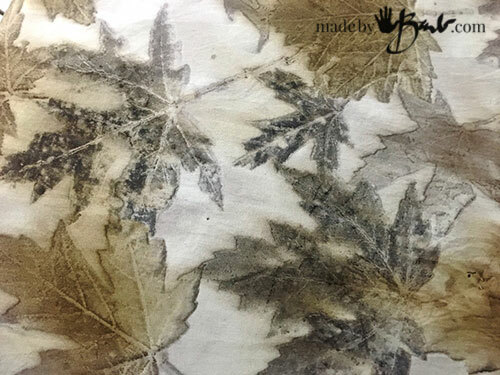 The unique prints are so interesting to gaze at, so much detail from each cell of the leaves. ‘Just magical! I also love how random and unexpected the prints are. 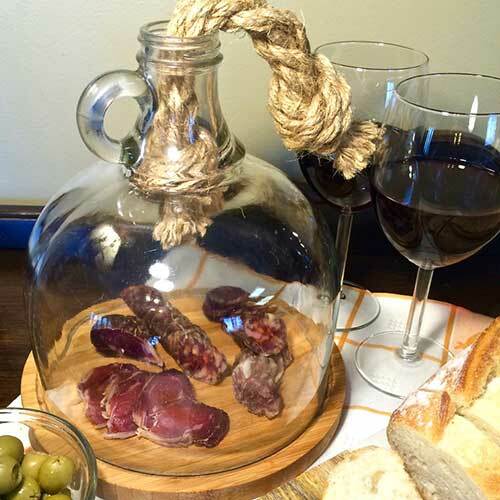 In our modern high-tech world we just love adding the ‘warmth’ of nature, especially rough and textural ones like live edge wood. These rustic prints are so perfect as an accent. And so functional to keep you cozy warm… like ‘Mother Nature’ has her arms around you! If you like this you can also buy yourself a silk scarf or actually make one yourself. 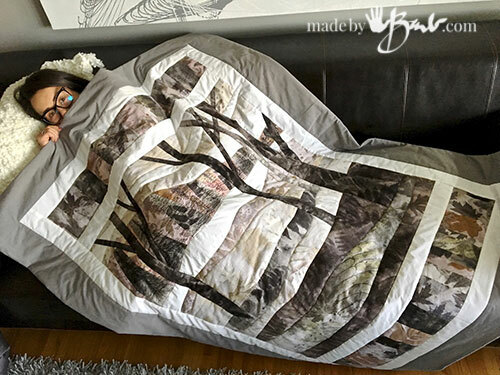 This is marvelous, can’t take off your beautiful quilt. Congrats!!! 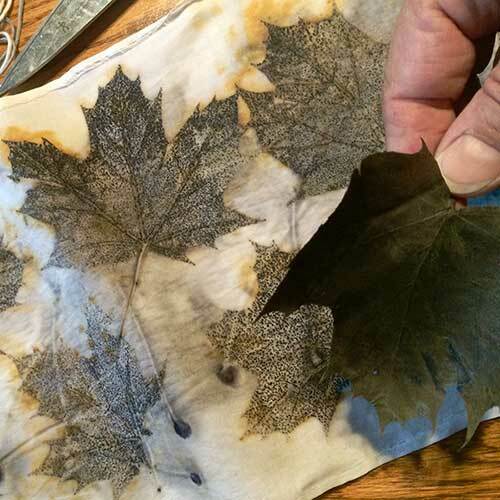 I constantly marvel at the details that eco printing gives me; and that’s coming from a person who has painted and drawn pretty well all my life. So many possibilities! I have a bunch of my ‘makings’ up in the shop Happy making!